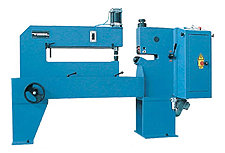 Timac is an Italian company that produces state-of-the-art sheet metal cutting machines. For over 30 years, Timac has specialized in Circle Shears for the production of metal disks for further use in presses, deep draws and spinning operations. Both semi-automated and fully automated systems are available.